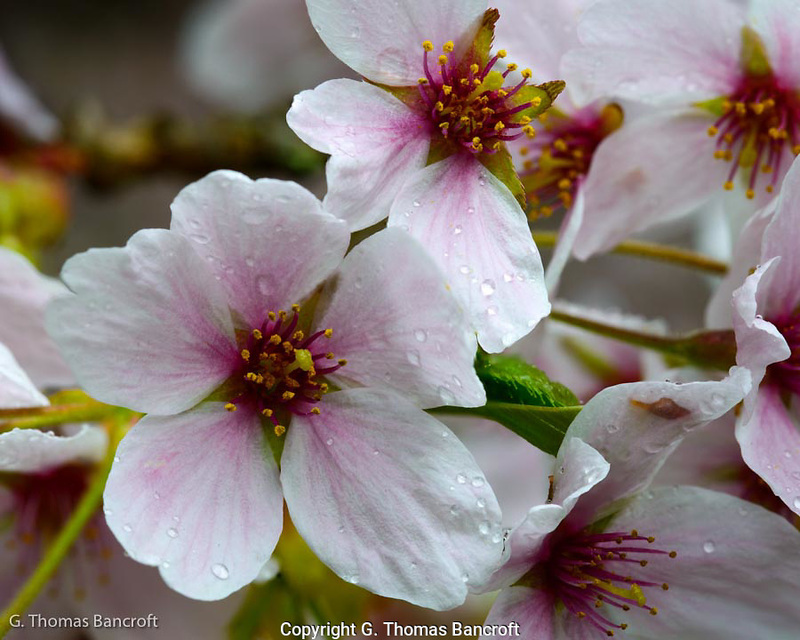 The pink wash on the white pedals draw the eye toward the pistal and stamines in the center of the cherry flower. Water droplets from the light rain glide across each pedal. The perfume scent of these flowers was strong in the stillness of the morning.